A healthy vegan snack for any time of day. They’re best eaten straight away as they don’t store too well. 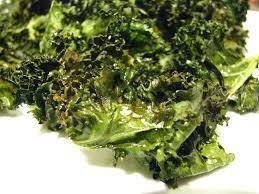 Adjust the spices or try a different combination, kale chips are very versatile. Transfer the spiced leaves into the air fryer, no need to just be a single layer, but also don\'t over crowd the basket.